Creative Spirits Art Workshops is on the road at the Tulip Tree Café! 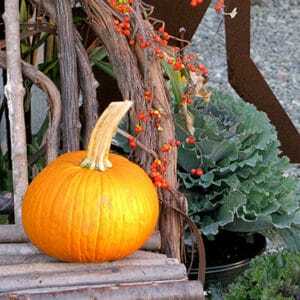 Join us for a frightfully fun Vintage Halloween Workshop! 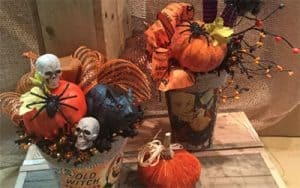 You will be creating these whimsical centerpieces that combine both decoupage and floral design techniques. Help bring music back into the lives of our elderly, veterans & Alzheimers’ patients. Live music all day! 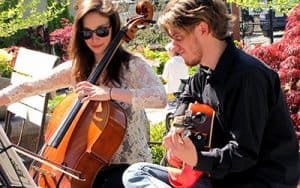 This new event at Calgo is a fundraiser benefiting Connection thru Music—which trains volunteers to visit and bring music to community members, including the elderly, veterans, and people living with Alzheimer’s & dementia. You can also enjoy a day of delicious foods, angel readings, crystals, yoga fashion, Reiki, psychic readings, spirit messages and more at The Yoga Loft’s Wellness Fair — relax, renew, rejuvenate! 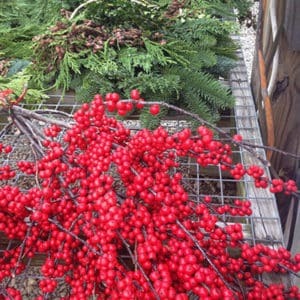 Join us Sunday, November 12th for a free demonstration and discussion on how to forage for plant materials to create your own beautiful arrangements. 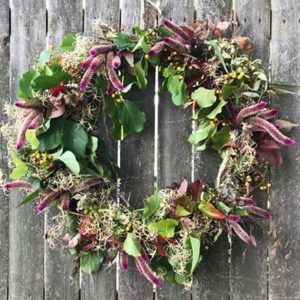 In this demonstration, presented by Calgo horticulturalist Pat Dixon, you will be guided on how to hand-tie a wreath using foraged material. 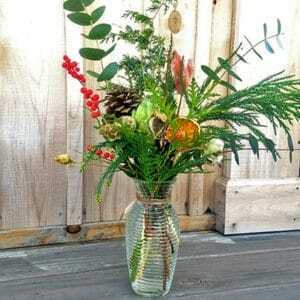 Enjoy creating your own dried winter arrangement that will last beautifully for several months. Join Dana Vargo, of Flowers From the Farm, NJ in the Calgo greenhouse for an afternoon of creative fun! Dana will guide you through this hands-on workshop to create your own dried centerpiece. Join us for all the usual (and some unusual) fun and merriment—yes, including Holiday Discount Roulette!—on Wednesday, November 29 from 4 to 8 pm. Create Your own Hand-tied Wreath in time for the Holiday Season! 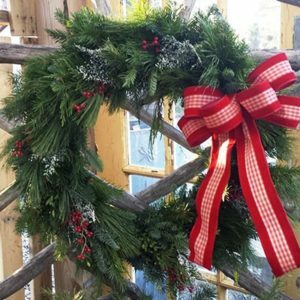 Add a personal touch to the holiday with a traditional wreath hand-made by you! We will guide you through designing and crafting your own hand-tied wreath, incorporating beautiful and aromatic seasonal elements. As a follow up to our Art of Foraging demonstration held in November—when we discussed where to find foliage, berries, seed pods, and acorns to create an autumnal wreath—you are invited back to use your foraging skills to create a wonderful winter centerpiece. (Newcomers are welcome, but should read this post thoroughly and may wish to call for more information). Calgo horticulturalist Patti Dixon will guide your efforts. We will provide the container, floral foam, and candles - you will provide your own evergreen boughs! Patti will show you how to trim the evergreens and build a long lasting seasonal arrangement. Spring Art in the Garden! Save the date! Over 50 artists—favorites and new—will exhibit their works and wares: watercolor and acrylic painters, jewelers, potters, photographers, and many others with unique, creative ways of expression. 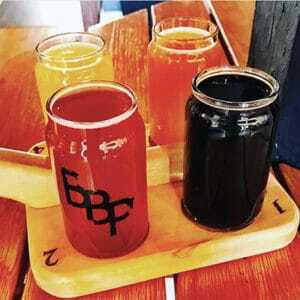 Live music starting at noon. 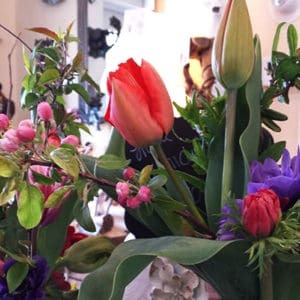 Stroll our beautiful grounds, enjoy the seasonal plants and flowers, relax on the patio, get a snack at The Tulip Tree Café…and of course support your local artists. 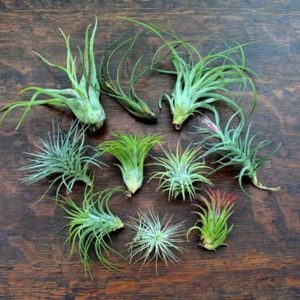 Join us for a discussion on the weird and wonderful world of air plants. Learn about where they are from, how they survive, and tips and tricks to grow them successfully. We will also demonstrate different ways to display and craft with them. Each participant will go home with their own air plant creation. Just in time for Mother's Day, you can make a gift terrarium! 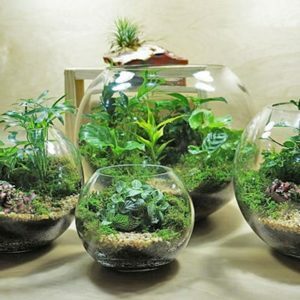 Garden terrariums make a fresh and interesting addition to any indoor space. We'll guide you through the hands-on process of building your own unique creation. Craft a beautiful living wreath that, with proper care, will last through the summer and into autumn. 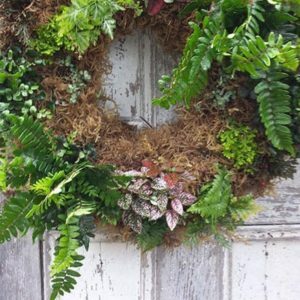 Create a fern wreath choosing from our gorgeous assortment of ferns, or a succulent plant wreath using some of the many varieties we will have on hand. 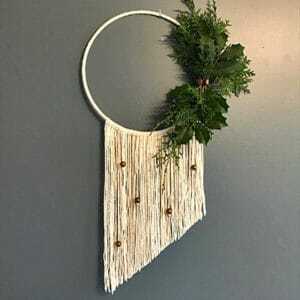 At home you can proudly display your wreath hanging on a wall or door, or lying on an outdoor table. Succulents are all the rage! These low maintenance beauties are some of the most fun and interesting houseplants around. Join us for a demonstration to learn about different types of succulents, how to plant them, how to display them—and even better—how to divide them and make more! The Yoga Loft and Calgo Gardens have teamed up once again to bring you one of your favorites! Experience a peaceful day of angel readings, crystals, Reiki, psychic readings, spirit messages, shopping & much, much more! 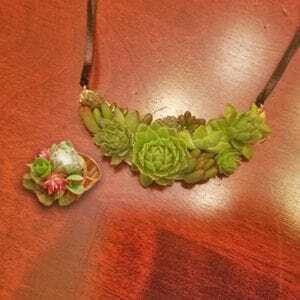 In this workshop you will create a necklace and ring using live succulents. 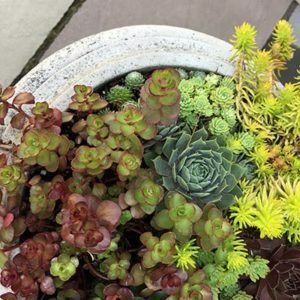 Dana Vargo of Flowers From the Farm, NJ will lead the class and offer helpful hints on how to propagate your succulents. All participants will be given a tube of floral glue for your own future projects. Have any old tools lying around that you might want to repurpose? 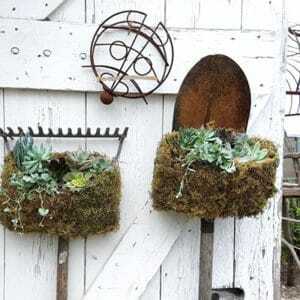 Why not plant up a shovel, hoe, rake or any garden object you have. Use succulents as shown, ferns, or any other annual you prefer and display on a shed or other structure that you fancy! Monarch butterfly populations are declining due to loss of habitat. 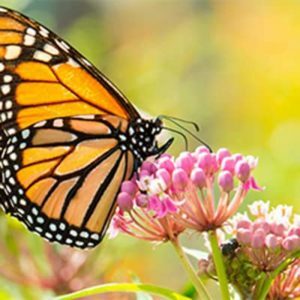 A Monarch Waystation is simply a garden that has both milkweed plants—which Monarchs feed on as caterpillars—and nectar plants that they use for nourishment as butterflies. Join us as we discuss the life of the Monarch and observe the various stages of development that are currently right here at Calgo. 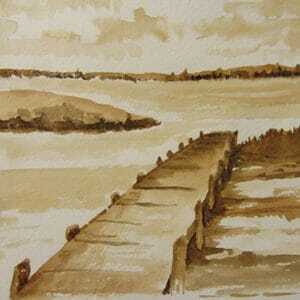 Yes, that's right, we mean you will use real coffee as a painting medium! Our instructor, Carolyn Tischer Bartlett, was formally trained as a watercolorist at an early age. She later attended the Paier School of Art in Hamden, Connecticut. In Bartlett's early career, she was known as a portrait artist and figure painter, today she is recognized as a landscape, still life, and animal painter. Learn how to make beautiful and unique beaded earrings with local artist and "Magpie" jewelry line creator Lydia Santoro. 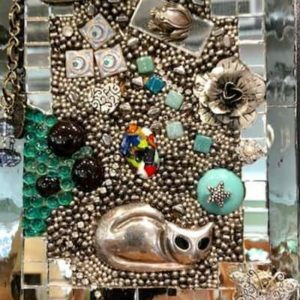 During this Ladies night, Lydia will teach you to create a pair of one-of-a-kind earrings using beads she specially chose for you to use in this workshop. All materials and instructions are included in the fee. Summer Sundays with Patti—All About the Garden! Introducing “Sundays With Patti” a series of one hour conversations covering a different gardening subject weekly. Your questions answered, too! Calgo’s gardenista/staff horticulturist, Patti Dixon, has a full and varied resumé blooming with expertise that she is eager to share with you. What a different way to express yourself creatively! Join us for two enjoyable evenings to design and build a unique and personal mosaic. Please bring small items from your home that have meaning for you, or that you have been collecting for the right project—jewelry, keys, buttons, beads—all other tesserae will be provided. First Annual Scarecrow Workshop & Contest! We will provide the structural supplies—wood support, straw, burlap, twine—and step by step instructions. Bring your imagination and some scarecrow fashion/clothing to dress your creation. 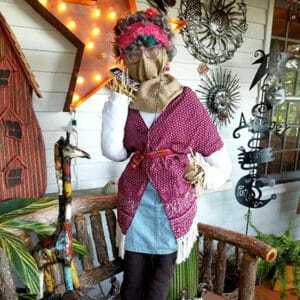 Scarecrows will be on display September 16-22. Judging will take place at our Autumn Art In the Garden Show on September 22 by popular vote. A $50 gift certificate to Calgo will be awarded to the winner! 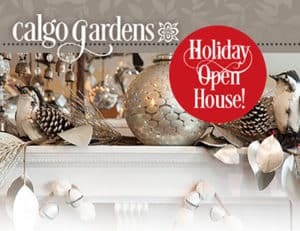 Calgo Gardens’ happy gathering of amazingly talented, local artists and artisans, is one of our most popular events! Save the date! Our happy gathering reappears this September. Over 50 artists—favorites and new—will exhibit their works and wares: watercolor and acrylic painters, jewelers, potters, photographers, and many others with unique, creative ways of expression. Live music, too! Our good friend & popular workshop leader Janice Shields is back with a fun new project! 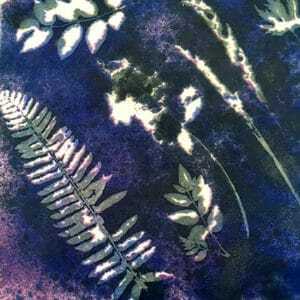 Using pressed leaves, flowers, and solar dyes you will create beautiful canvas tote bags. SolarFast dyes are colorless out of the bottle, but develop into beautifully vibrant and permanent hues when exposed to sunlight. You can select from several colors to blend, use a spray applicator or a sponge, so each will be unique. Learn how to divide tubers and identify those that will and will not produce flowers/plants next year. 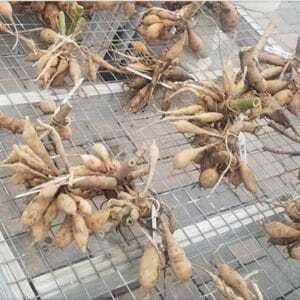 Each participant will receive a viable tuber and enough storing medium for over winter protection. You read correctly—knit a cozy warm blanket with your fingers—just in time for the fall chill-down and up-coming holidays. The multi-talented Lydia Santoro (jeweler, Calgo workshop leader & Art Show vendor) will teach you to knit with your fingers and create this soft, on trend treasure. You will have four colors to choose from; please choose a color when registering. A fun ladies night where we will demonstrate how to create an arrangement using edible vegetables, herbs, and decorative materials. This will make a great display for your Thanksgiving holiday table or as decoration on the kitchen counter. What a different way to express your creativity. Join us for an enjoyable evening to designing and building a unique and personal mosaic. Please bring small items from your home that have meaning for you, or that you have been collecting for the right project—jewelry, keys, buttons, beads—all other tesserae will be provided. 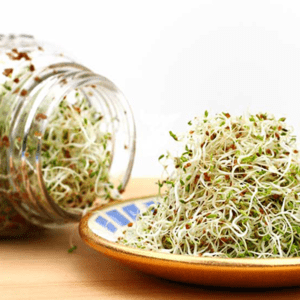 Learn how to grow your own fresh alfalfa sprouts at home in less than six days. Cody Parker of Drop the Beet Farms will teach you the basics of sprout growing in this easy 30 minute workshop. You will take home a sprouts jar kit, alfalfa seeds for several sprout harvests, and easy to follow instructions. Holiday Discount Roulette is Back! Calgo’s gift to you ~20%, 25%, or 30% Off ! 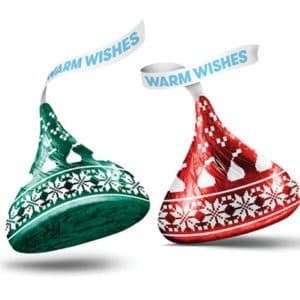 Visit Calgo • Choose a Candy Kiss • Your kiss will Reveal Your Discount! 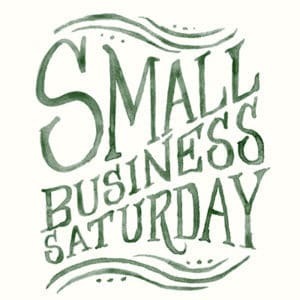 Small Business Saturday • Celebrate with Us! Small Business Saturday is the day to shop local! 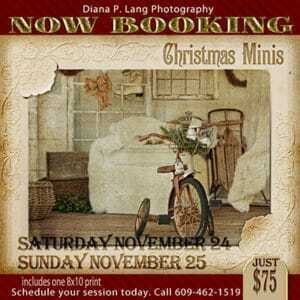 Join us for a day filled with mini sessions and workshops. Descriptions and pricing for each workshop are listed separately in this events section. You'll have a treasured memory of the season and a perfect shot your holiday card! 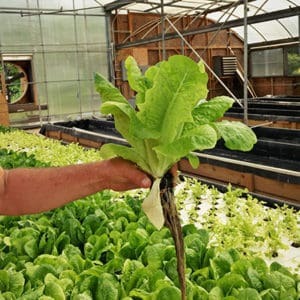 Small Business Saturday: Aquaponics Facility Tours!!! 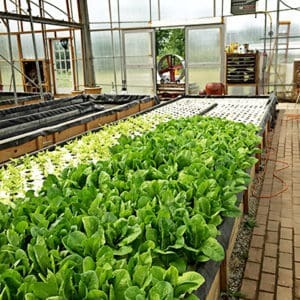 Take this fascinating up close tour of Drop the Beets Farms’ aquaponic facility. See the 15,000 gallon fish tanks and learn about the sustainable ecology of an aquaponics closed loop system. Understand the symbiotic relationship between fish, bacteria, and plants (food), and the roll each organism plays in nutrient cycling. Deck the Halls with Boughs of Holly and your front entrance too! 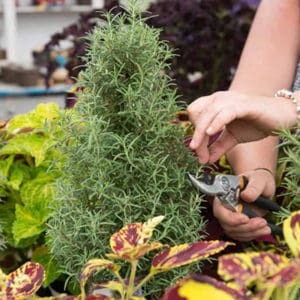 Free demonstration on how to green up your outdoor containers with aromatic greens. 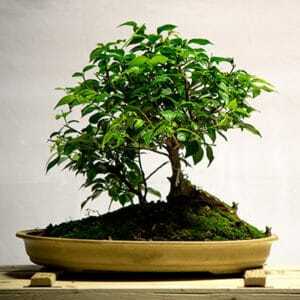 Hear Bonsai expert, Pete Bethune of the Pine Barrens Bonsai Club, speak on all things Bonsai! Pete will demonstrate and discuss: the best kind of trees for Bonsai, placement considerations, specialized tools and wire used. This workshop will show the wonders of oyster mushroom cultivation. 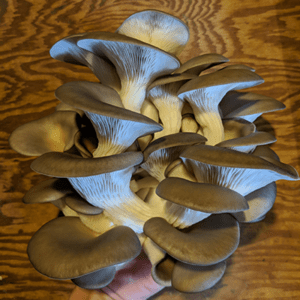 Cody Parker from Drop the Beet Farms has eight years experience in mushroom cultivation, and will guide you through making your own mushroom kit! 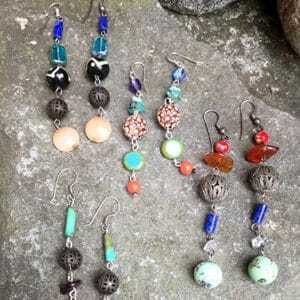 This “Open Late Wednesday” features Lydia Santoro of Magpie Jewelry. NEW!! All Day Open House!! 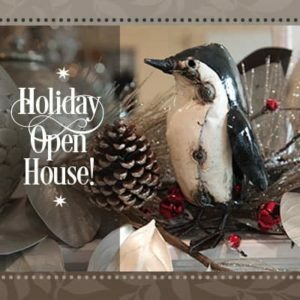 Join us for our first ALL DAY Open House! Workshops • Demonstrations • Beer Tasting • Boho Wreath-making • Pet Portraits • Greens Arrangements • Mini Yoga Classes • Aquaponics Tours • Hot Cider & Cookies & MORE! 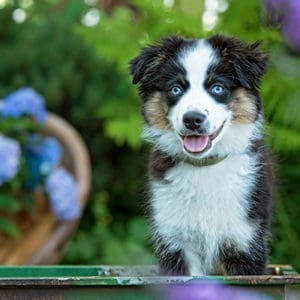 Capture the essence of your pet's spirit in a photograph you will always cherish. Photographer Diana P. Lang is an expert at capturing the best of your pet! Fee includes one 8x10 print. Join Dee from The Yoga Loft, located the Farmhouse at Calgo, as she conducts mini-yoga classes from 10am to 12pm. Try your hand at something different—create your own Bohemian-style wreath for the holidays! 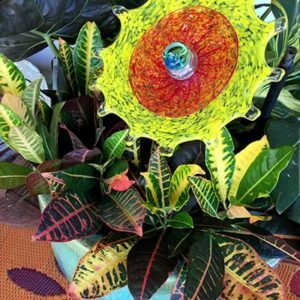 This hands-on workshop will include instruction and all materials needed: seasonal greens, beads, and decorative embellishments. Owners and operators, and husband and wife duo, Chelsey and Mike, of the Bradley Brew Project will be at Calgo for an amazing beer tasting experience! The Bradley Brewery Project is a nanobrewery with a vision to provide a community focused, education based customer experience. Their unique approach to recipe formulation and focus on assorted fermentation processes provide them with the opportunity to create various types styles, products and services. Take a fascinating up-close tour of Drop the Beets Farms’ aquaponic facility. 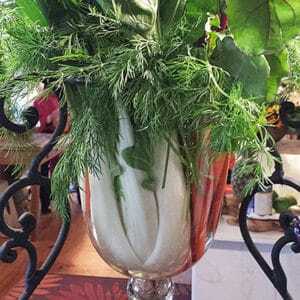 Create a holiday centerpiece using foraged foliage! 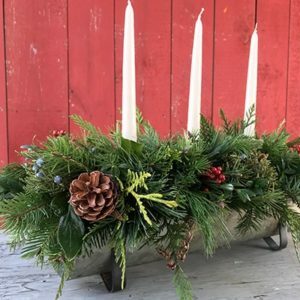 Dana Vargo of Flowers From the Farm, NJ will demonstrate how to create a holiday centerpiece using foraged foliage, branches, grasses, embellished with add ins such as pine cones, berries, and dried fruit. Demonstration times will be at 1:30 and 2:30 in the green house. Tonight's Late Wednesday Features Guitar String Jewelry & Cigar Box Instruments! 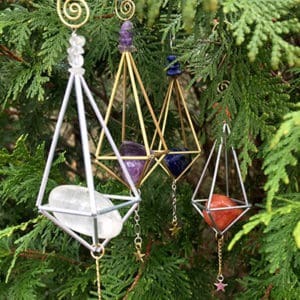 Meet Jenny Woods from High Strung Jewelry: Rock • Recycle • Repurpose. Jenny makes handcrafted guitar string jewelry with a unique design aesthetic. 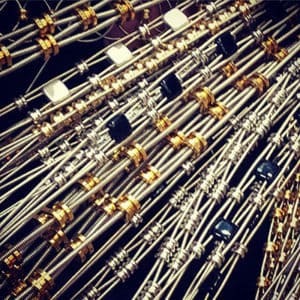 Her “wearable music” provides a singular jewelry experience that strikes just the right chord. Also joining us is Michael DiGirolamo and his cigar box guitars! Not only can you play them, but each one is a work of art! 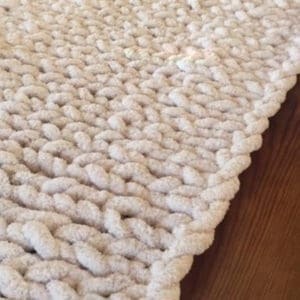 Finger Knit Blanket – Date Added! Due to an overwhelming response, we're adding another class! You read correctly—knit a cozy, warm blanket with your fingers... just in time for the fall chill-down and upcoming holidays. The multi-talented Lydia Santoro (jeweler, Calgo workshop leader & Art Show vendor) will teach you to knit with your fingers and create this soft, on trend treasure. 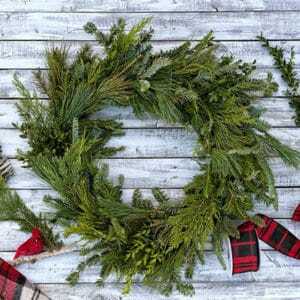 Create Your Own Hand-Tied Wreath! Add a personal touch to the holiday with a traditional hand made wreath. 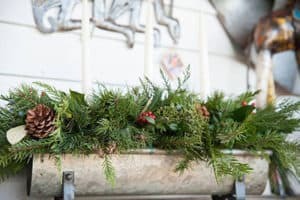 Grab your pruners and set off on an adventure to clip greens, berries, and branches to create a beautiful centerpiece that will last through the holiday season. This year, choose to make winter a time of feeding your spirit and nurturing your soul. 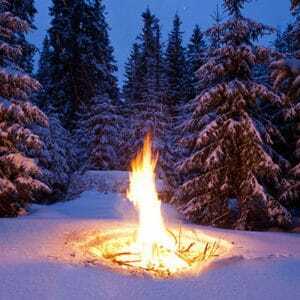 Winter Solstice is a time of change, a time of endings and beginnings. We tune into cycles in time and in our individual lives. 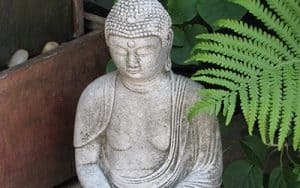 It’s been said that inner wisdom consists of knowing one’s place in any given cycle, and what kinds of action (or restraint of action) are appropriate for that phase. 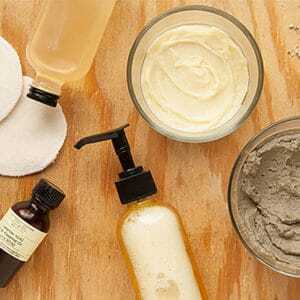 Learn how to make natural facial and body care products using essential oils, salts, powders and more. Each student will create three products that will target the skin, the body and the mind. We will discuss the benefits of each ingredient along with how base recipes can be customized to suit different needs. Along with your products, you will take home these recipes to use again and again. The perfect addition for your Easter brunch or dinner table. You will be provided with spring blooming flowers, bulbs, and seasonal accents. Cost includes all materials as well as instruction. Space is limited and registration is required. Call 732.919.7770 to reserve your spot.